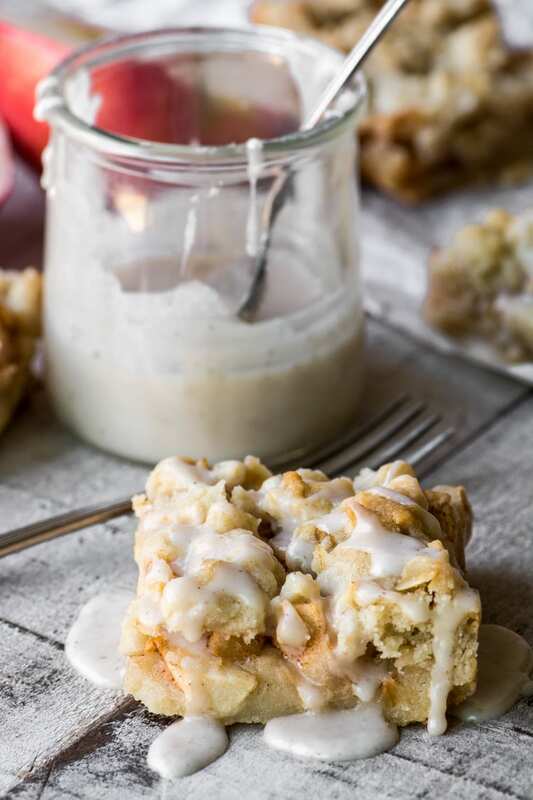 Spiced Cider Glazed Apple Bars ~ these buttery shortbread crumble bars are stuffed with juicy SweeTango apples and drizzled with an outrageous spiced cider glaze! *This post is is sponsored by SweeTango®, and as you know, I greatly appreciate your support of my brand partners — I only work with companies that I love, and they help keep TVFGI up and cooking! 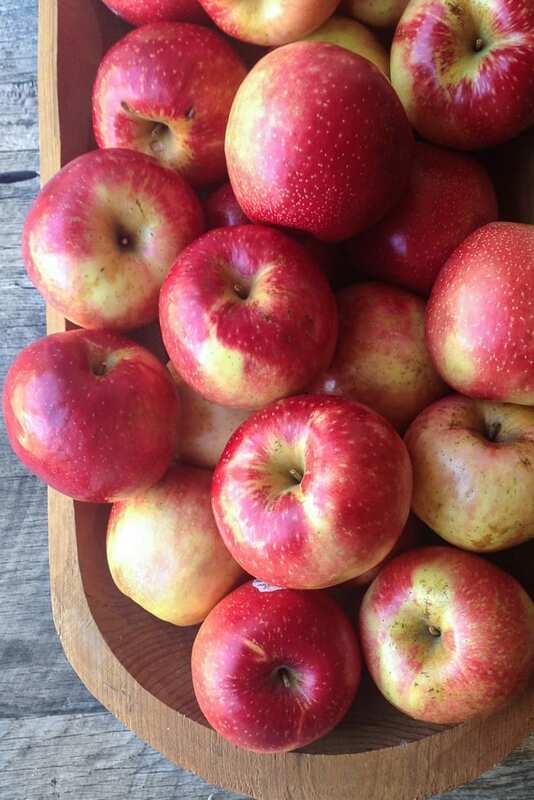 Have you tried a SweeTango apple? I bet you’ve seen them around, they burst onto the scene in 2009 when some smart growers in Minnesota married a Honeycrisp to a Zestar apple. 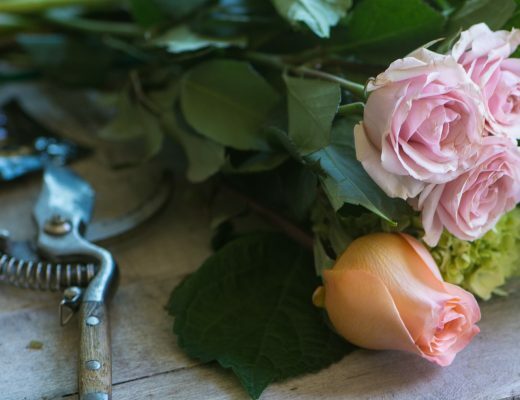 (Honeycrisp was the bride, and Zestar the groom … seriously!) The resulting SweeTango apple is unique and wonderful, and has become famous for its shatteringly crisp texture and honey-like flavor. I’ve used SweeTangos before on the blog, they star in my BAKED BRIE WITH APPLES, PECANS AND MAPLE SYRUP, and they’re also the ones I chose for my yummy BAKED BREAKFAST APPLES. 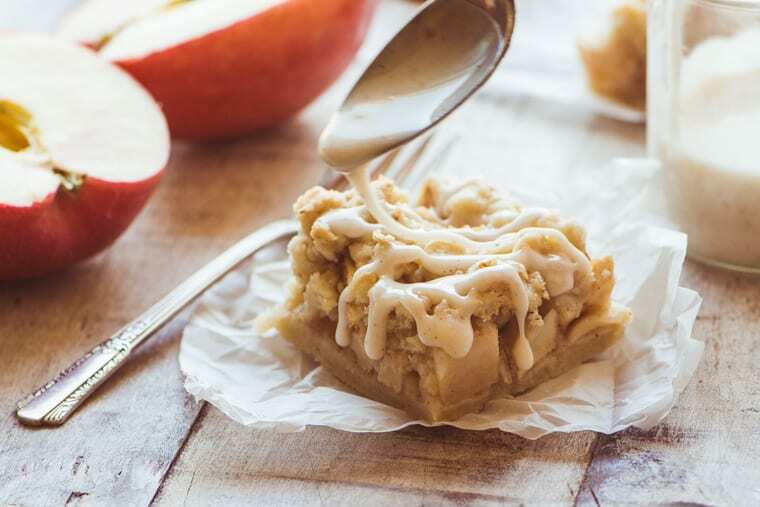 Today I’m baking them up in old fashioned apple bars ~ but these bars stand out from the rest, not only because they’re made with crisp Sweetango apples, but because I’ve drizzled them with a spiced cider glaze that puts them right over the top. They’re a must make for fall! I don’t know about you, but I like my apples to be super firm and crisp, but not super tart. Sweetango apples strike the perfect balance for me. Guinness World Records states that a crunch from eating a SweeTango is 79.1 decibels, which is about as loud as an alarm clock! SweeTango apples actually have larger cells than regular apples, and those cells burst with juice when you bite into one. But they’re not only great for eating out of hand, I love to bake with them because they retain a little bit of that juicy crunch even after they come out of the oven. but the glaze makes them absolutely sensational. The hint of spices and the twang from the cider is unusual and out of this world. The next time you’re tempted to make an apple pie, try these instead! Like all the best produce, SweeTango apples are seasonal. You’ll find them in stores in the fall, and by December they’re gone. Their short season makes the enjoyment all that much sweeter. Grab some soon to make these wonderful Spiced Cider Glazed Apple Pie Bars. 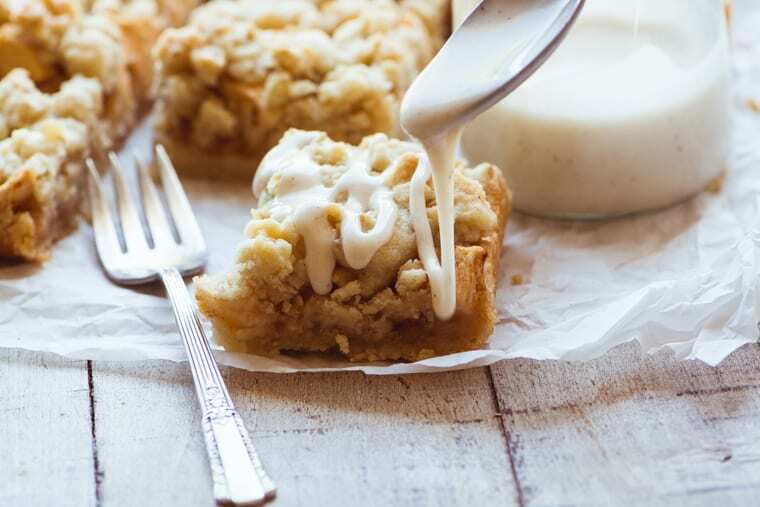 SPICED PEAR CRUMBLE BARS ~ another recipe perfect for the fall season. 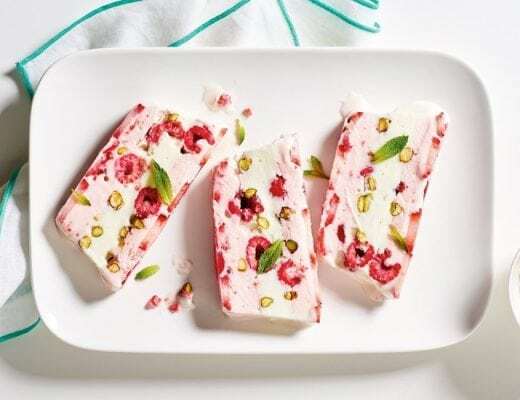 CRANBERRY WALNUT SHORTBREAD BARS ~use fresh or frozen cranberries. BLOOD ORANGE CRUMB BARS ~ I look forward to citrus season every year so I can make these! Spray a 9x9 baking pan and line with parchment paper. This step is optional, but helps to lift out the bars for easy cutting. Blend in the flours, and mix just until completely combined, don't over beat. Note: do not add the rolled oats at this time. 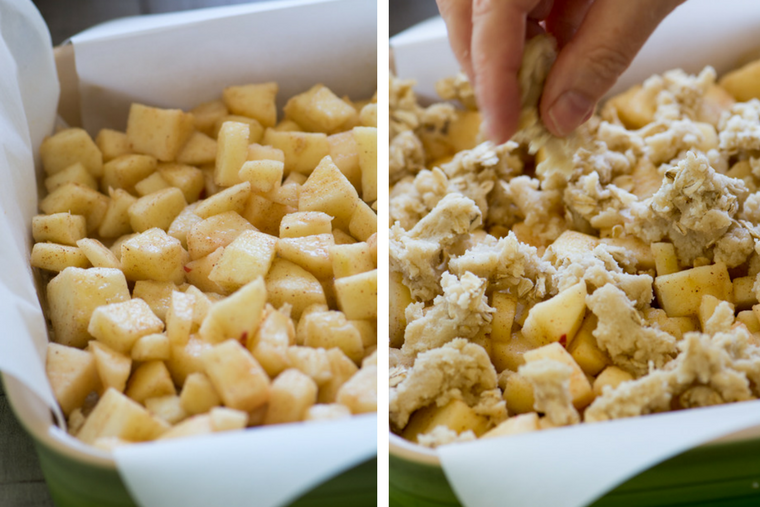 Mix the oats into the remaining dough with your fingers, and then crumble it over the top of the apples. 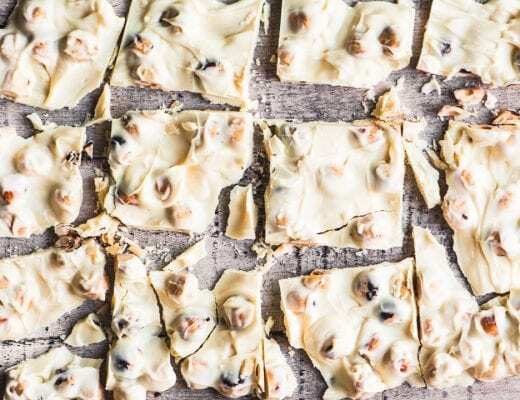 Use your fingers to break apart the dough into smaller crumbles. It's ok if some of the apples show through. 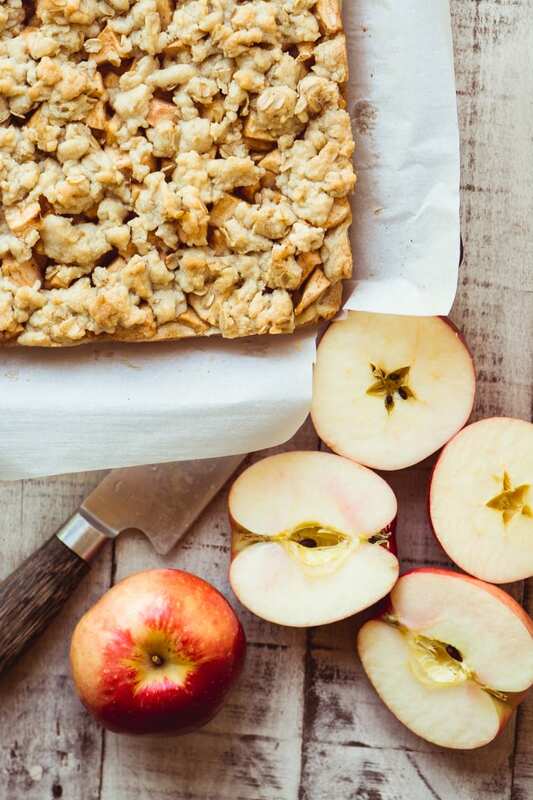 Don’t lose track of this Spiced Cider Glazed Apple Bars recipe ~ pin it! Keep up with SweeTango on social media! This recipe is genius! I made and shared with a few people who also immediately loved them! So much better (tastier and easier) than a regular pie crust and that glaze is extra special! I was able to use a variety of apples since New Hampshire apple season is upon us. They all worked well. Thanks so much for sharing! I’m so happy you liked these Anita, we really did too :) I just picked all kinds of apples while visiting in Wisconsin this weekend, so I’ll have to make another batch! OMG…..these look SOOOOOOOOO GOOOOOOD! 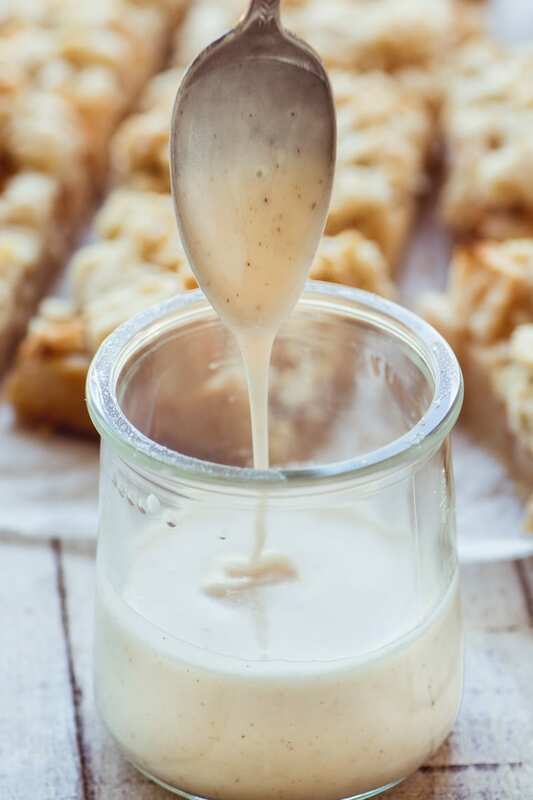 That crumble topping and drizzle….YUMMY! I’m swooning over these bars… that glaze is everything! Ah, I really wish there were more variety of apples here, it’s like the four usual apple suspects every day of the year. 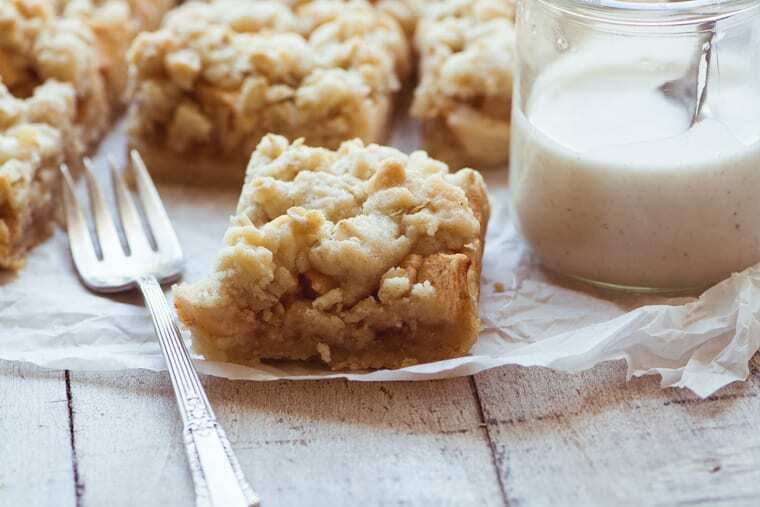 Those Sweetango apples sound so delicious, and these apple bars look like the perfect morning coffee snack! I JUST saw these at the store and was wondering about them! Now I know I need to try them next time! Love these bars! My kids would LOVE this – bookmarking! I love a good crunch when I bite into an apple so I need to get my hands on these SweeTango apples! They sound amazing and this dish is a must try! We love these apples in my house! My kids devour them. I bet they work perfectly in this bars. Just a note to say that I love your blog. I have never made a recipe that wasn’t just wonderful. I look forward to each message from you. Thanks! Oh my gosh Elizabeth, you made my day! Mmmm. the drizzle! That’s what makes me drool! I love any baked apple dessert! This looks fabulous and I can’t wait to make it! I too moved from New England to California and I missed the apples in the fall. But now I’m back and can’t wait to buy some apples to make this! Lucky you Elaine! And I agree about apple desserts, but for some reason I’m not the biggest apple pie fan…I think these are so much better. These are so pretty. Forget dessert, I want these for brunch! Ohhhh yum! Nothing says fall like spiced apples! This dessert looks lovely! I’ve seen the SweeTango apples, but never tried them. Now I will. I love your description — and those bars are over-the-moon! These apples sound wonderful Sue. I haven’t tried them but will be looking for them next time I shop. I checked where they might have them in Raleigh and found they’re at my favorite store! I want this so badly now! That crumble and glaze are really super! Wish we had more apple varieties here. I love this type of bars, so easy to make and delicious! A great recipe Sue! When I moved from New England to California, one of the things I missed most was crisp fall apples, right from the tree. I’m happy to have found SweeTango because they’ve got that vibe, but if you can’t get them where you live, try another fruit, I swear these bars work with almost anything!